Bratislava is great place for sport based individuals. If you are running lover, there are lot of tracks. You can choose between asphalt surface in the center of the town with different lenght or cross terrain surrounded by the nature. Attractive city trails includes riverbanks of the Danube, run through Bratislava brigdes or Janko Kral City park, Horský park at least Železná studnička (https://www.welcometobratislava.eu/running-in-bratislava/). You can test your skills at numerous spring races. If you prefer to explore beuaty of the region in the saddle of a bicycle, there are lot of options if you choose any direction. Záhorie is specific with its natural monuments and extensive forests. The area of Podunajsko is hiding in its title water and recreational tourism connected with lot of routes great for bike riding. The Small Carpathians mountains is the mysterious landscape of the vineyards with many historical sites only 20 minutes from the Bratislava. 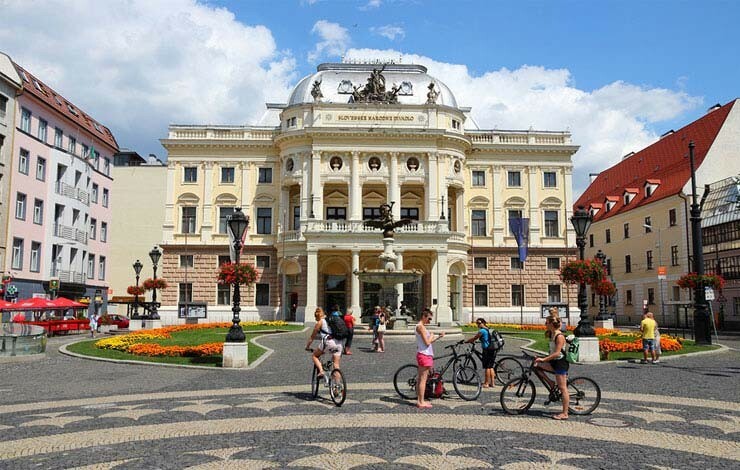 You can also discover the center of the capital itself, its culture and history by the bicycle (https://www.visitbratislava.com/your-trip/discover-city/sports/cycling/) . The ideal way how to uncover city from that point of view is to use Slovnaft bike service (https://slovnaftbajk.sk/en). There are about 80 stations where you can borrow and also leave the bike. One of the favourite sports activities of citizens is certainly inline skating along the dam. The end of this track is in the waterworks Gabčíkovo. Along the way you will be passing the original floodplain forests. The slovak metropolis does not belong into the largest in Europe, but with its numerous attractions can be equal to them. Find the real goods for you and spend weekend in that picturesque city. You will be leaving full of never to forgotten memories. For more advantages and unpreciated utilization of these weekend days book our package for two people, Beautiful Bratislava (https://danubiagate.sk/en/special-offers/beautiful-bratislava) included rich bufet breakfast and parking. You get two day Bratislava Card with many benefits.